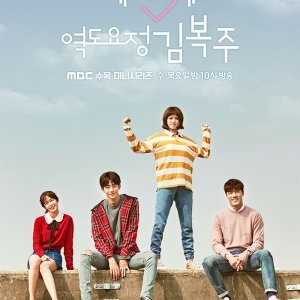 This drama attempts to send a message that any human being is beautiful by just existing in this world. People's desire to have their say in everything, to succeed and to be beautiful stems from their deep-rooted disbelief in themselves. They are unable to love themselves the way they are. The underlying reason for the loss of interest in life is the disappointment with people. But even those who get disappointed with other human beings are negligent in loving their own selves. The main character, Kim Min Ho, was born into a family of a business tycoon but his family turned away from him because he was an illegitimate child. While having a hard time because of her mother's re-marriages, Chung Soo Hee falls in love with Kang Min Ho, who turns out to be a friend of her boyfriend, Yoo Ji An. Frivolous Choi Mi Ri loves gangster Kang Ho Chul against her family's wishes. Oh Young Sook calls herself "crazy" and disguises herself in a lie. All these people are linked together by the mute owner of an eatery in the neighbourhood, an old woman named Mi Young. 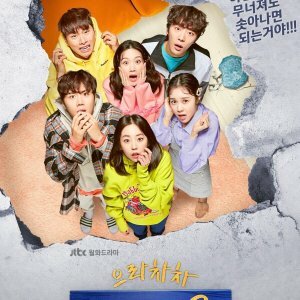 Goodbye Solo isn’t your average Kdrama. Its more like an indie movie that lasts 16 episodes. The way its shot makes you feel like your watching a documentary featuring characters that give you a sneak peak into their world. The story actually isn’t anything new or special and there’s no exciting moments or surprises/twists. You won’t laugh or experience gut wrenching emotions. The romance also isn't anything special. However, one thing that this drama does have is fascinating characters. There are many main characters so a lot of the scenes are just them interacting. What makes that so fascinating is that all the characters come with a past their not proud of but together they overcome these pasts and loneliness to find their own happiness. To me that’s what the title means is trying to convey. As each episode passes by you want to know more about these characters. What brings these characters to life are the amazing actors portraying them. All 6 main actors did a very believable portrayal. I think the stand out though was Kim Min Hee. Her character kind of seems bi polar but she has this way of making Mi Ri make sense. Na Moon Hee plays Jalmoni that grounds the main characters. She plays a deaf/mute character and although she has no spoken lines her amazing acting shows through her facial expressions. She gives a very moving performance. 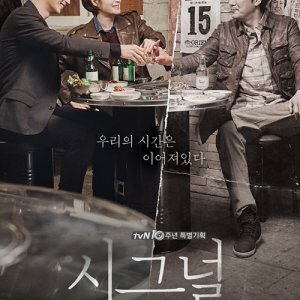 To some, this drama might not be their cup of tea but for people who want a more realistic drama with fascinating characters I dare you to give this a try. I usually don’t like realistic dramas like this one but I was pleasantly surprised and took away life lessons. This is a very different kind of Kdrama. It's written by Noh Hee Kyung who also wrote It's Okay It's Love as well as Padam Padam, That Winter the Wind Blows, Worlds Within, and others. 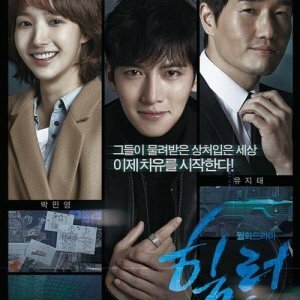 It was directed by Ki Min Soo (Good Doctor, Ojakyo Brothers) and Hwang In Hyuk (Assembly, Sungkyunkwan Scandal). Solo is very much a character driven drama. The story itself takes second seat to the characters we get to know as the drama progresses. Bit by bit, episode by episode, layer by layer, each person's lives and secret selves are exposed. No one is who you think they are, or they become more than you think they are in the beginning. These people are friends, relatives, neighbors, all the everyday people that surround the central cast of characters. However, who is central changes constantly and that is part of the joy of this drama. There are favorites in the cast that you will grow attached to. But there isn't a wasted one and who you like best will change too. Everyone has a purpose for being there and the story wouldn't be what it is without them. My favorite is absolutely Bae Chong-Ok. I've seen her in so many things, (most recently the mom in Bubblegum, the mom in Spy, the mom in Wonderful Mama, etc) but here she is remarkable. Kim Min Hee as Mi Ri and Lee Jae-Ryong as her gangster boyfriend Ho-Chul almost steal the show. Na Moon Hee barely speaks a word but conveys her unconditional love with ease using just her face and body movements. There is also Lee Han (who later changed his name to Kim Nam Gil) For the first half of the show you would think he's just there to be the third point on the triangle, but much of the story is actually centered around him. I loved this drama. A Lot! By the time the 9th or 10th episode came around I was clicking on the next episode as fast as I could get to it. If I'd had to stay up all night to finish I would have! The drama is not well known nor did it get good ratings. But it is as cliche free as a drama can be and that probably accounts for a lot of that. This is not a drama for everyone. It proceeds much like an indie film, but with enough passion and angst that it should satisfy that appetite too. For me, the weakest part of this drama was the romance. I could not get invested in it. It was an interference in the lives of these people, a painful experience that created angst and separation for people I had grown to care about and whom I did not want to have hurt any more than they were already. The resolution was forgone, but not satisfying...FOR ME. You may totally disagree!